We’d love your help. Let us know what’s wrong with this preview of Expecting Sunshine by Alexis Marie Chute. If you enjoy Eat Pray Love and Wild, you will find the same triumph over heartache and resounding joy in Expecting Sunshine, the bestselling award-win If you enjoy Eat Pray Love and Wild, you will find the same triumph over heartache and resounding joy in Expecting Sunshine, the bestselling award-winning memoir by author-artist Alexis Marie Chute. This second edition contains a special bonus chapter written from the author’s husband’s perspective! An eye-opening must-read! To ask other readers questions about Expecting Sunshine, please sign up. Chute, a photographer and artist, lost her second child, Zachary, just moments after his birth when he died of an inoperable heart tumor caused by a genetic abnormality called Tuberous Sclerosis Complex. After a period of anguish that included an episode in which she pounded her head against a wall and stabbed her palm with a golf tee, she immersed herself in a “Year of Distraction” through frenetic work. Then, after being reassured that Zachary’s illness was not inherited, she became pregnant again—and began a new ordeal, chronicled here in 40 week-by-week chapters. Chute’s worry that the new pregnancy would also end in tragedy preoccupied her and made every doctor’s appointment, ultrasound scan, and bodily twinge an agony of apprehension. Meanwhile, she tried to process the unfinished business of Zachary’s death in a church-run mourning group where she found mainly a gruel of unhelpful platitudes; mothered her rambunctious 2-year-old daughter, Hannah; and tussled and bonded with her husband, Aaron, who was supportive but sometimes wounded her with his determination to get on with life. In this sometimes fraught, sometimes luminous work, Chute’s narrative brings together in a roiling, deeply felt tangle maternal experiences that are usually separated, as the exhilaration of pregnancy and the exhausting happiness of raising a toddler are overshadowed by lingering grief and dread. It’s an emotional roller-coaster, with giddy anticipation turning on a dime into fretful, claustrophobic brooding and self-laceration. Chute’s prose conveys the full force of her turmoil with powerful imagery—“I felt that I would be like uncooked ground beef, bloody and grated, for the rest of my life”—but keeps enough distance to probe and interrogate her feelings, and gain a deeper understanding of them. It only took one page for me to be swept into Alexis Marie's story; I could not put this book down. Expecting Sunshine is an insightful read for anyone walking alongside a family member or friend experiencing a significant loss. It offers a window into the internal workings of the grieving process and a reminder that much of life happens away from the public eye. Your heart will beat with compassion and you will be pulling for Alexis Marie to discover true healing as you follow her journey. Alexis Marie has experienced a great loss that has effected every aspect of her mind, body and soul. It is her story about the challenges she faces with herself, her family and her friends. She distracts herself from her feelings, emotions and misery. Until she comes to the realization that she needs to come head to head with her grief. She realized she needed to face her overwhelming fears, anxiety and sorrow in order to heal. Alexis Marie does a great job including the reader in her book. It m Alexis Marie has experienced a great loss that has effected every aspect of her mind, body and soul. It is her story about the challenges she faces with herself, her family and her friends. She distracts herself from her feelings, emotions and misery. Until she comes to the realization that she needs to come head to head with her grief. She realized she needed to face her overwhelming fears, anxiety and sorrow in order to heal. Expecting Sunshine was recommended to me by my wife. It isn't normally the type of book I would pick up, but I am so glad I did. It is a thoughtful and engaging look at the impact of the loss of a child on a young family. You take an emotional journey through their grief and recovery which is also humorous at times and uplifting throughout. You will find yourself cheering for this family. A good read for anyone. Expecting Sunshine by Alexis Marie Chute is a wonderful memoir written by a mourning mother. This book is raw and honest. It is brave and beautifully written. Alexis Marie has managed to record her story in a way that will speak to every man and women who has ever become or wanted to become a parent. While reading this book I cried, and laughed a little, but mostly felt truly inspired by her strength and ability to grow out of tragedy. A must read! I was hoping for more. I know several couples who have lost their baby and I was hoping to be able to recommend this book to them. Not going to happen. Most of my friends are conservative Christians and would not care to read her f-bombs and her blasphemous attitude towards God. Absolutely loved it.. thankgod for some light humour and it not all being over emotional. Wasnt expecting to like it as much as i did. What a sad but sweet book. Great job! This is a well written book that is at times sad but also funny and inspirational. Follow Alexis through her emotional journey of mourning the loss of one baby while expecting another. Gain insights into the perspectives of loss and love through the eyes of her young daughter Hannah, her troubled but resolute husband Aaron and the interesting personalities of her family and those she encountered in her journey through grief to find healing and happiness. A compassionate companion for those who h This is a well written book that is at times sad but also funny and inspirational. Follow Alexis through her emotional journey of mourning the loss of one baby while expecting another. Gain insights into the perspectives of loss and love through the eyes of her young daughter Hannah, her troubled but resolute husband Aaron and the interesting personalities of her family and those she encountered in her journey through grief to find healing and happiness. 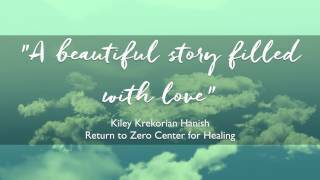 A compassionate companion for those who have experienced a similar loss however one need not to have lost a loved one to enjoy this book as It offers an endearing story that appeals to all readers. This is a fantastic read. Though the story is about loss the book is not sad as may be expected, it is actual full of love. I highly recommend this book. Expecting Sunshine is very raw and real. Alexis Marie is unflinchingly honest about her own raw pain, as well as the massive impact losing a baby has on a marriage - particularly (and especially) when each person deals with their pain in different ways. To be honest, I did not find Expecting Sunshine to be as helpful for me, or as relatable for me, as An Exact Replica of a Figment of My Imagination. Perhaps it's because Alexis Marie struggles with her faith quite a bit throughout Expecting Sunshi Expecting Sunshine is very raw and real. Alexis Marie is unflinchingly honest about her own raw pain, as well as the massive impact losing a baby has on a marriage - particularly (and especially) when each person deals with their pain in different ways. To be honest, I did not find Expecting Sunshine to be as helpful for me, or as relatable for me, as An Exact Replica of a Figment of My Imagination. Perhaps it's because Alexis Marie struggles with her faith quite a bit throughout Expecting Sunshine and I am not interested in questions of faith or God (simply because I've answered my own questions ages ago and struggle to relate to people who are still searching for something I don't believe is there). One of the best books I've ever read that focuses specifically on pregnancy after the loss of a baby. Alexis' imagery and prose is beautiful and the way she moves week by week through her pregnancy after losing her son is super relatable. It's so honest and tender that I couldn't put down! Alexis Marie Chute deserves to be lauded for sharing her intense story of pregnancy, grief, motherhood, loss and loss of faith. I hope that this book ends up in the hands of someone who really needs it. Some parts were very candid, and in others, I could feel the pain. I had some questions for her after I finished reading the book, but that's to be expected. From the first page, Chute’s ability and talent as a writer is evident. She has an incredible way with language, not only perfectly describing the feeling she is attempting to convey or present the image she is attempting to conjure, but doing so in a linguistically beautiful way. You can tell she is an artist: this book is her canvas, and each word is a masterful brush stroke. Chute deals with some incredibly large and complex emotions, but presents them in a relatable way. As you read, you fee From the first page, Chute’s ability and talent as a writer is evident. She has an incredible way with language, not only perfectly describing the feeling she is attempting to convey or present the image she is attempting to conjure, but doing so in a linguistically beautiful way. You can tell she is an artist: this book is her canvas, and each word is a masterful brush stroke. Chute deals with some incredibly large and complex emotions, but presents them in a relatable way. As you read, you feel every emotion she feels: her profound sense of loss and her yearning for a sense of peace, her fears and worries, the moments of joy and sorrow. It is an emotional rollercoaster, but one I am glad I rode. The word brave is thrown around all too often these days, but that is the only word I can use to adequately describe Chute for writing this book: Brave. She bares her soul for the reader to see, in its sometimes raw and ugly form, and details what she felt and what she thought, with total honesty. It is evident as a reader that this process was often difficult for her, but also extremely cathartic. I have been lucky in my life as I have not suffered the level of loss which Chute has, but I can see clearly how incredibly helpful this book would be to someone who has. As a mother, I related a lot to much of what Chute says, particularly when discussing the internal struggle between your identity as a parent, and your own sense of self. As someone who is in full time employment, a writer, a blogger, a wife and a mother, I often feel myself being torn in a dozen different directions, and find myself struggling with maintaining my own identity. When one prioritises their own hobbies, their own passions, it means losing out on moments with your children and that can often lead to guilt. But during Chute’s journey of self discovery, she learns and emphasises the importance of retaining your own sense of self, and finding ways to express yourself and who you are as an individual, not just as a member of a family unit, something I too discovered after suffering with post natal depression. This book is one of sorrow and loss, but most prominently, it is one of hope. And that is the prevailing emotion one feels once you finish the final chapter: Hope. Overall, I highly recommend this book, particularly if you have experienced a loss in your life with which you are currently struggling. Such a beautiful, poignant, engaging read. Box of tissues ready...the title alone is enough to expect something emotional from this. I absolutely love the cover. As the title gives us a first glimpse at something that will be a struggle to get through because of it's serious, personal, emotional, difficult...the umbrella, the colors, the background...also gives us an idea of hope...maybe a positive outcome, maybe just something that gives insight past the trauma. Such rawness, such honesty, so m Such a beautiful, poignant, engaging read. Box of tissues ready...the title alone is enough to expect something emotional from this. Such rawness, such honesty, so much sharing of something so traumatic. I can't even fathom what a parent goes through losing a child. I do know family members that have. I hurt for them. I hope better days for them. I took what I know nothing about and I read this book with an open heart. I am a parent and it's extremely hard even just reading a book on this topic. I am glad I did. So beautifully written...pulls at the heart. I am in awe that the author can open her heart so fully to share with readers something so moving. Again..very moving. Intense and heart wrenching...a journey unbearable...but a journey with so much hope. Highly recommend. On my blog, I have talked about how pregnancy is never the same for someone who has suffered a pregnancy loss. Alexis Marie Chute wrote a book about her journey through grief while being pregnant again after the devastating loss of her son, Zachery, shortly after he was born. Week by week, she describes her feelings and challenges while she tentatively anticipates her second son. She bravely describes the emotions women feel after miscarriage or loss. Expecting Sunshine may not be for everyone, bu On my blog, I have talked about how pregnancy is never the same for someone who has suffered a pregnancy loss. Alexis Marie Chute wrote a book about her journey through grief while being pregnant again after the devastating loss of her son, Zachery, shortly after he was born. A few days after I found out I miscarried, just before my D&C, I went to Barnes & Noble in hopes of finding a guidebook or self-help book of how to heal and cope with miscarriage or loss of a child. I searched every feasible location: self-help, psychology, family planning, childcare. With tears in my eyes I was too embarrassed to ask anyone at the counter for help. There I was already utterly heartbroken and feeling more alone than ever. Not a single book for me to turn to. I pulled out A few days after I found out I miscarried, just before my D&C, I went to Barnes & Noble in hopes of finding a guidebook or self-help book of how to heal and cope with miscarriage or loss of a child. I searched every feasible location: self-help, psychology, family planning, childcare. With tears in my eyes I was too embarrassed to ask anyone at the counter for help. There I was already utterly heartbroken and feeling more alone than ever. Not a single book for me to turn to. I pulled out my phone, googled “books about miscarriage” and found this book and ordered it on the spot. It was exactly what I needed. Alexis-Marie's words gave me validation, comfort, and hope. Ignore the end of year lists on all the book sites. This is one of the best memoirs of 2017. This book is not just for bereaved parents. A very moving and captivating story. Alexis Marie Chute is a talented artist who uses colorful, lush descriptions to draw the reader in to the story. She also does a wonderful job of painting a portrait of her husband and children by using strong, authentic dialogue. We go on this journey of loss and hope with her, but she makes it clear that there are no easy answers. I also like the fact that she talked about exploring religion and how she did not necessarily find what she was looking for at A very moving and captivating story. I also like the fact that she talked about exploring religion and how she did not necessarily find what she was looking for at the grief and loss support group sponsored by a church. I was afraid to read this book. I'm not sure why, though I have my suspicions. I'm not sure why I decided to read it after all, but I'm so glad I did. So beautifully written, it was a real page turner. The author conveyed her emotions and the rhythm of her life through her third pregnancy brilliantly. I felt with her, her fears, anger, frustration and grief. And I finished the book feeling at peace. It felt perfect. Moving, but a little too verbose and reliant on descriptions of season and weather. I tend to like sparser prose and a touch of dark humour. Elizabeth McCracken’s stillbirth memoir ruined me for all others. A wonderful telling of the life around the loss of an unborn child. Excellent read and uplifting final chapter! Alexis Marie Chute is an award-winning artist, author, photographer, and filmmaker. Her debut memoir, Expecting Sunshine: A Journey of Grief, Healing and Pregnancy After Loss, was released by She Writes Press in 2017, accompanied by the feature documentary. Chute has been published in PhotoEd, WestWord, Mind Body Green, Savvy Mom, Today’s Parent, Vie, The Bellingham Review, Edmonton Alexis Marie Chute is an award-winning artist, author, photographer, and filmmaker. 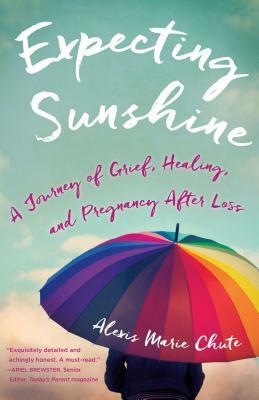 Her debut memoir, Expecting Sunshine: A Journey of Grief, Healing and Pregnancy After Loss, was released by She Writes Press in 2017, accompanied by the feature documentary. Chute has been published in PhotoEd, WestWord, Mind Body Green, Savvy Mom, Today’s Parent, Vie, The Bellingham Review, Edmonton Woman, Flurt, Smart Healthy Woman, and the Three Minus One and the Women’s Art Museum Society of Canada anthologies. Chute has received over 30 noteworthy distinctions for her visual and literary work, such as being named a “Canada Book Awards” winner for her memoir, Expecting Sunshine, and other recognitions such as The John Poole Award for promotion of the Arts, “Emerging Canadian Photographer” by Photo Life Magazine, and Avenue Magazine’s “Top 40 Under 40.” Chute was featured in print and video as mother-expert in the pregnancy loss awareness campaign by Today’s Parent Magazine, which won first place at the 38th Annual National Magazine Awards for Best Editorial Package on the Web. Chute’s blog for bereaved parents is called Wanted Chosen Planned. Chute was the 2012/2013 Artist in Residence at Harcourt House Artist Run Centre, where she began her groundbreaking fine art photo series called “The Quiet Rebuild,” featuring volunteers from around the world. Her photography on the topic of resiliency has been exhibited internationally and her bright-bold abstract paintings are represented at the AR&S Gallery at the Art Gallery of Alberta. Chute also curates the annual InFocus Photography Exhibition & Award during Exposure Photography Festival. Alexis Marie Chute received her Bachelors of Fine Art in Art and Design from the University of Alberta, Canada, and studied at Media Design school in Auckland, New Zealand. She graduated valedictorian with her Masters of Fine Art in Creative Writing from Lesley University in Cambridge, MA, USA. When not in her art/photo studio or writing at her computer, Chute loves to spend quality time with her family, read both fiction and non-fiction, watch reality TV, paddleboard, and canoe. She is not a winter person but lives in the frosty city of Edmonton with her husband and their three living children.